Even its topography and climate speak of somewhere else, especially to the many Japanese immigrants who have settled in the region: there are rice paddies nestled between the hills, and its dirt roads lead to art studios and small furniture firms. 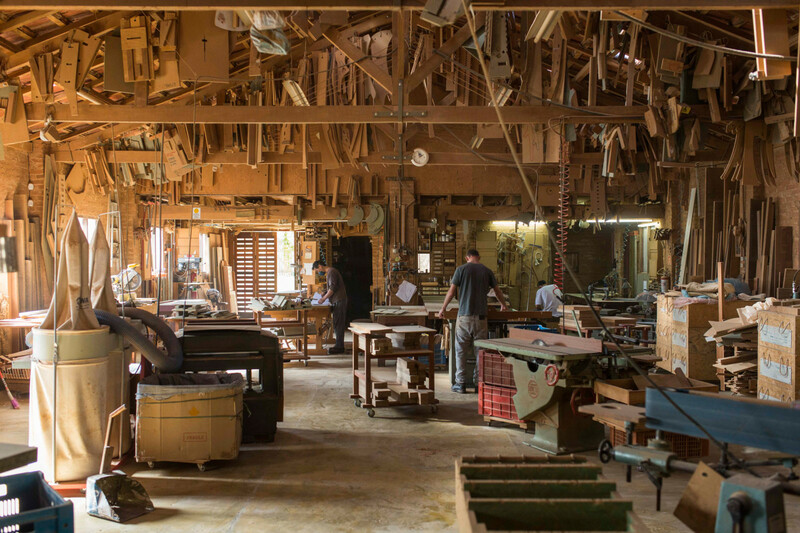 One of these spots, a 350-square-meter abode, is the home and office of Japanese woodworker Morito Ebine, one of the greatest hidden treasures in the craft of joinery both in Brazil and the world. Upon his arrival in the country in 1995, he started growing mushrooms and potatoes before opening his own workshop. Now, joined by four woodworkers and his two dogs, Morito spends his days crafting sought-after chairs, tables, stools and many other pieces of furniture. I work with four people. It usually takes 10 years to qualify as a woodworker, but it’s very much a case-by-case situation: you have people with grit who are hungry to learn. In Japan, I used to work on Saturdays, all day long, and then I’d work for free on Sundays, organizing the tools. In Brazil, people don’t like to work on weekends. We have people who bring a particular design on paper, asking whether it’s feasible to produce. I usually correct or improve the design so that we can build it. I then send it back to the client, and they approve. The most difficult thing here is not being able to understand what a client wants. Sometimes they come here asking for a table, a meter wide by two meters long. “What type of wood would you like?” I ask them. “Oh, you can choose anything you want,” they answer. “Which design?” I ask. “Oh, you can choose anything you want.” “Square or round?” “Oh, you can choose anything you want.” Having to make every decision myself makes things more difficult. How many products have you designed by now? I am not an artist. I’m under the impression that an artist makes art, not something utilitarian. I’ve never made any money by working exclusively on design, so I’m not a designer either. I make furniture, and I make money out of it. From this point of view, I’m just a woodworker. Thanks, Morito, for showing us your craft and the beautiful town of Santo Antonio do Pinhal. To explore the full catalog of his works, head to Atelier Morito Ebine. 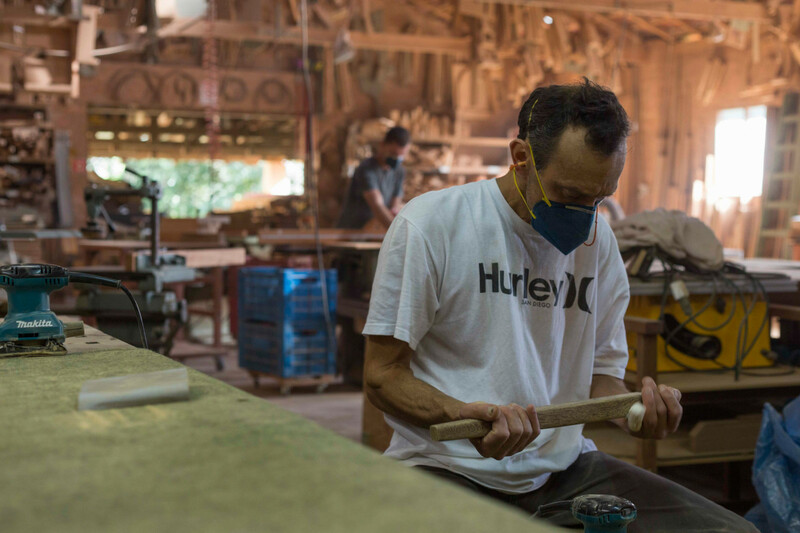 Brazil is awash with artists and craftsman, find out more, or be inspired by more stories from Japan.